Low Carb Grits | Shrimp And Parmesan! I have officially become a lover of grits, all thanks to Matt's Cheesy, Low Carb Grits creation! I'll admit, I didn't think this was possible at first, nor did I think I could overcome the earthy chia seed taste that I'm not fond of. 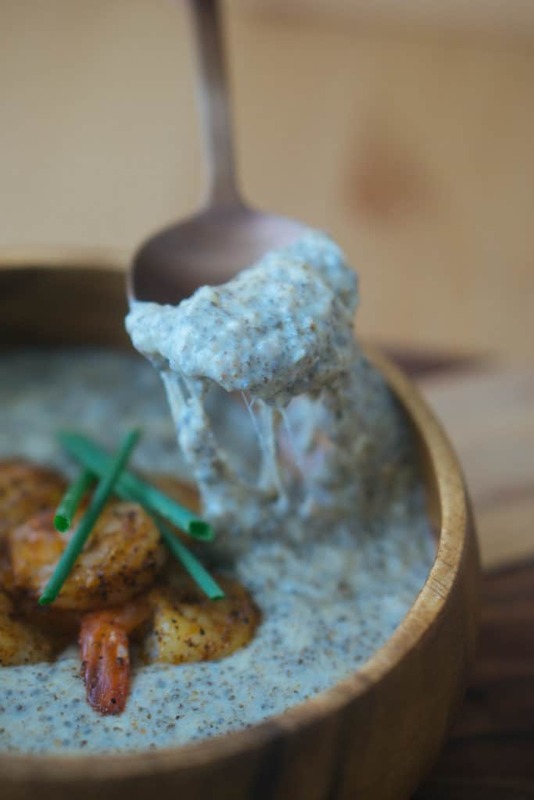 However, this shrimp and grits recipe shocked me and left me wanting more. Make it and find out for yourself! What About Chia Seed Side Effects? They are also high in fiber, and while we aren't big proponents of needing a minimum dose of daily fiber, it can be beneficial to digestive health, helping with bowel regularity. You can check out this article to get some more insight into chia seeds benefits as well as other ways to use them. Homemade Grits Are Easier Than You Think! Our goal has always been to provide you with replacement recipes for foods that you didn't think you could eat ever again on a low-carb diet. Grits is one of those foods that is pure carbs, so it only makes sense that we do our best to come up with a replacement. Our low-carb, homemade version is even easier than you'd think. Grind the chia seeds then soak them to create a thick, grit-like consistency. It's that simple. If grits were never something you enjoyed, get ready to have your mind changed. I went from someone who shuddered at the sight of them, to someone who now enjoys eating them. That being said, they must be low-carb and extremely cheesy to go down this gullet. Whether or not you're up in the air about this recipe, I highly encourage you give these low carb grits a try and share it with your family too! 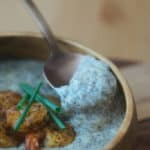 Recipe can be quickly added to MyFitnessPal - Search "KetoConnect - Low Carb Grits"
Heat a bottom heavy sauce pan to medium heat and add in the broth. Allow the stock to reduce by half. 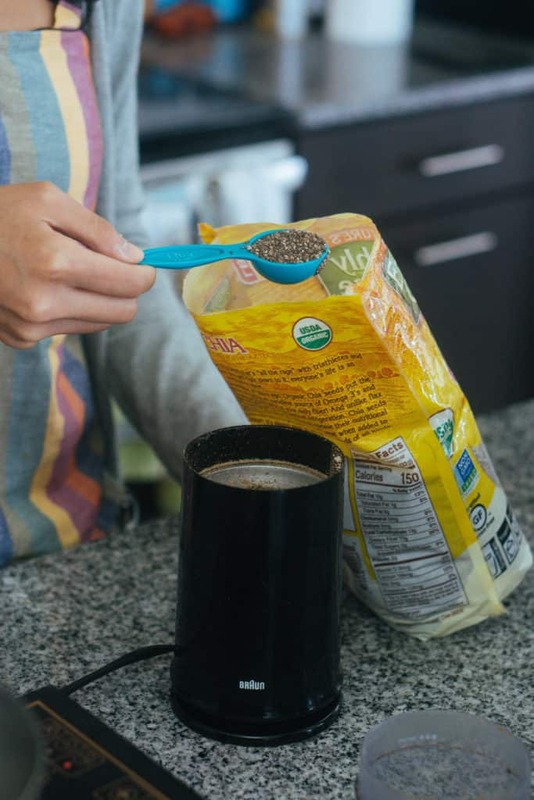 While the broth reduces, pulse the chia seeds in a coffee grinder until ground. Set aside. Remove reduced broth from heat and add in the ground up chia seeds, heavy cream, garlic powder, salt and pepper, and whisk to combine. Let it sit for 5-10 minutes to allow it to thicken. Add in the butter and Parmesan and whisk to combine. If the mixture is no longer hot, return to stove top over low heat and allow butter and cheese to melt down.